Of all the challenges that moving into a new home can bring, combining your decor styles with someone else can be the most difficult to navigate. Whether it’s a significant other or a new roomie, it can be hard to create a space that will appeal to both of your styles without ruffling some feathers. Speaking of feathers, this is a time where you may find out your roomie is a big fan of feathers…or orange shag carpet…or pink and lime green polka dots. Or worse! It’s times like these, that it’s important to find a peaceful harmony. So check out some of our best tips for harmoniously blending decor styles when moving into a new home. As we know with relationships, communication is key. So, before you begin decorating, it’s a good idea to start out by figuring out what styles you want to use. 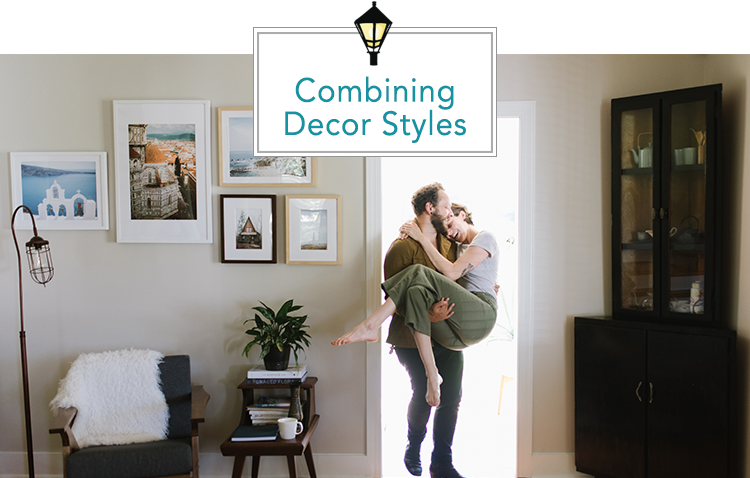 The online interior designers at Havenly have a great quiz that can help couples discover what styles they each gravitate toward and make it easier to collaborate on their design. If your partner loves rustic pieces, but you’re more mid-century modern, you’ll know right away that you’ll both need to make some sacrifices. On the flip side, knowing what styles you love can help you find some common ground. For example, brick can be a shared aesthetic between both industrial and farmhouse styles that could easily make both partners happy in their space. Talk about what you each like about your preferred decor styles and you might find some shared similarities you can work off of. You might be surprised to find how bonding this experience can be! Open-mindedness and compromise are going to be your two biggest skills going into this process (we promise this isn’t a relationship blog, but hey, these tips could certainly help). In order to make your space an equal representation of both partners, you should be open to each other’s design choices and willing to sacrifice in some areas. Each person should also be open to purging some of their items in order to create a balanced look in the space. Instead of feeling bummed, look at this as a positive opportunity! Each partner can use this as a chance to get rid of their lower-quality pieces and combine their nicer items in their new home. At the end of the day, you have the same goal: creating a home that both of you enjoy, so keep that in mind, and don’t get hung up on the small things! Once you’ve purged some items (we always recommend donating items to our partners at the New Orleans Mission) and decided what styles you like, it’s time to go shopping! See, we told you this would be fun. First, make a list of wants and needs, set a budget and work together to furnish your new home perfectly. Shopping together for new pieces gives both partners an opportunity to have input on developing the new style for your space. 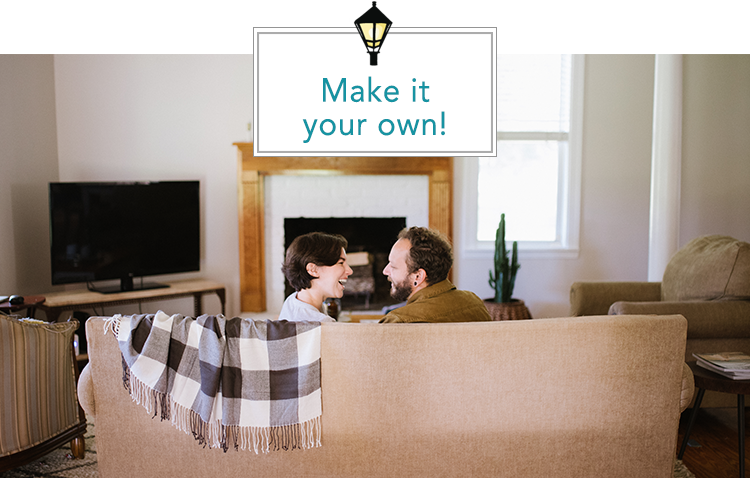 It’s also a great way to bond as a couple and feel a connection with your new home, rather than feeling like it’s filled with your partner’s furniture. Keep these tips in mind and moving into a new home together for the first time won’t have to mean endless fights over interior design. For help finding your first dream home contact us today!